As the Australian junior mile champion Ron Clarke was selected to carry the Olympic Torch and light the flame at the 1956 Melbourne Opening Ceremony. He later became one of the great distance runners of all-time, especially measured against the clock, but one who struggled to win on the biggest stages. Between 1963-68 Clarke set 17 world records, over distances ranging from 2 miles to the one-hour race. In 1965, he was at his best, setting 11 world records that year alone. His most famous record occurred on 14 July 1965 at Bislett Stadium in Oslo, when Clarke recorded 27:39.4 (27:39.89) for 10,000 metres, breaking his own listed record of 28:15.6, shattering the previous best by over 36 seconds. Clarke later became mayor of Gold Coast, Queensland in 2004, serving until 2012, when he resigned to run in the Queensland state elections, but he was badly beaten in that election. Clarke was made a Member of the Order of the British Empire (MBE) in 1966. In 2013 he was appointed an Officer of the Order of Australia (AO) on the Queens Birthday Honours List. Clarke was elected to the Sport Australia Hall of Fame in 1985. 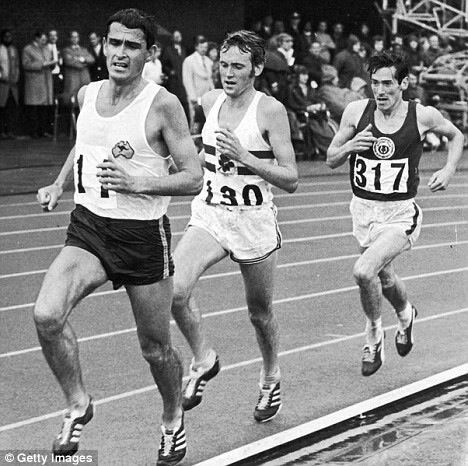 Personal Bests\: 5000 – 13:16.6 (1966); 10000 – 27:39.89 (1965); Mar – 2-20:26 (1964).